The PentHauz Music boss, Phyno, today unveiled and welcomed the new artist, Rhatti, to his household. 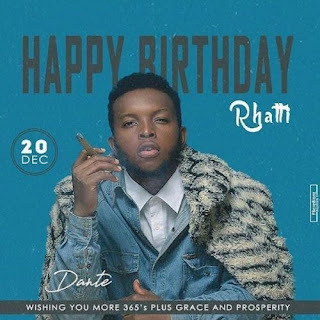 Today, 20th of December, 2018, also happened to be the lucky artiste's birthday. Phyno seems to be quite hysterical about this, he's been flooding his Instagram page with some of the rap freestyles of his new artist - Rhatti. According to reports, Rhatti was discovered by Olamide, when he came across Rahatti's freestyle with the popular 'motigbana' beat. However, having been impressed by his[Rhatti] talent, he figured it'd be perfect he gets signed by his friend, Phyno - since he's Igbo and raps in Igbo too. Reports also has it that Rhatti is still a student of Nnamdi Azikiwe University, popularly known as UNIZIK - in Awka. Welcome Rhatti, Go win many awards.